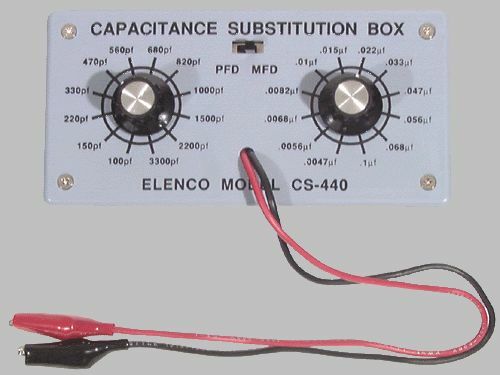 Contains 24 different value capacitors from 100pF to .1µF. NOTE: This item is in kit form and requires assembly. PLASTIC BOX - BLACK 6.3" x 3.7" x 2.2"
PLASTIC BOX - BLACK 5.1" x 2.8" x 1.8"